There are more than six million burglaries that occur each year in the country. Many families live in constant threat of burglary. The burglaries are committed through doors and windows, but mostly the burglar enters through the windows as most of the people take very less care to keep their windows safe. The main reason behind these burglaries is the carelessness. Mostly, the burglaries can be prevented if the windows are kept tight and secure. Secured windows are directly proportional to secure homes. At the time of going out many people leave their windows open while they close and lock their doors, thinking that their homes are safe. One should properly lock their windows as well. It will not take more than few seconds and will surely not make you late for any event. Burglars target windows at the first instance, and so it is essential to lock the windows properly. Since there are many accessories available for the security, these are also many options that are available for the window security. 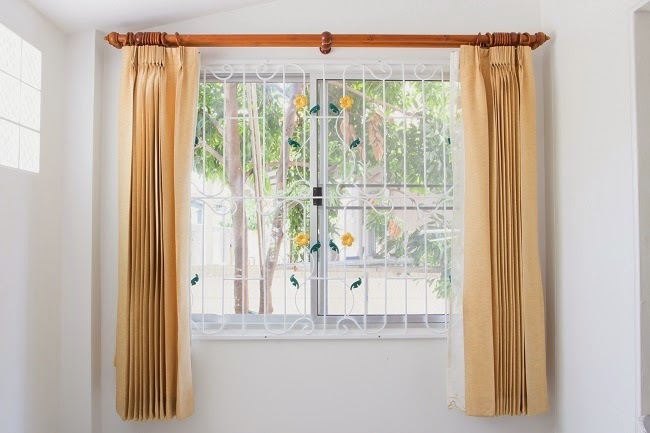 In order to ensure the proper window security, you need to keep in mind that the ventilation should be proper. The ventilation locks should be used for this purpose. Besides, the auxiliary locks should also be used. The use of auxiliary locks will ensure utter security. You must ensure that you use locks of the trusted brands as they are of good quality. Do not hesitate to spend your money on the window security because in the long run this will save your house from the potential dangers. Burglars hate dogs. This is the reason why it is best to have a dog that is trained to alarm you if he senses any danger. This will surely work for your security and will also add a loyal friend to your life. It is recommended to own a dog if you have a property where you have space outside. You can’t fool the burglars! A great security camera is also one of the best ways to secure your home. Hidden security cameras can be installed near windows or doors. Many people use fake security cameras but they cannot fool burglars in any case. Most of the burglars are very well prepared before they carry out any theft. It will be good if you can spend some money on video cameras. Burglar can only enter in two ways, and that is through the doors and windows. They cannot be expected to do any heroic stunt in order to enter your house. You can also use the card opening for windows and doors. Sliding windows are a favourite for the burglars. It is better not to have the sliding windows and the same goes true for the windows as well. When you ask a locksmith to prepare or upgrade locks for windows, you must also ask him to prepare locks for windows. You must also look out for the material that you use for the windows. Good quality metal frames are essential for the windows. Keep this in mind before you get them installed. Get the windows reinstalled and use the solid metallic window panes. Always keep in mind not to be a miser while choosing windows and doors. If a certain company or services tell you that you are utterly free from burglary, then be sure that it is completely wrong. Nobody is completely safe from any danger. However, it is incumbent to keep your home safe in order to prevent it from the burglary. You need to go for the best kind of window security for your home in order to keep the dangers aloof from your home. To know additional facts about window security. Also would you like to install window security needs in your home or office? Then let’s go here. How to Pick the Best Garage Doors for your home?